Doctors often use survival rates as a method for discussing a patient’s prognosis. 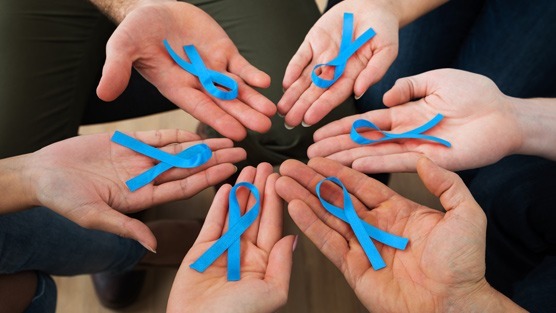 Some men diagnosed with prostate cancer may want to know what the survival statistics to understand what their chances of survival are, while others however may not find the survival statistics comforting or even helpful. As cancer goes, low-grade prostate cancer has one of the highest survival rates of any other type of cancer and only 1 in 36 men statistically will actually die from the disease. This is because prostate cancer is a disease that is both slow growing and slow to spread. Doctors use a number called the 5-year survival rate when discussing cancer survival statistics with their patients. The 5-year survival rate is in reference to the percentage of patients who will live a minimum of 5 years following their cancer diagnosis. Prostate cancer survival rates are generally based on the previous outcomes of men who had and were treated for the disease at least 5 years prior. Other factors that can play into a patient’s prognosis include their age, current state of health and how well the patient responds to their treatment. Your doctor will be able to tell you how the most recent statistics will apply to your situation and how to proceed. It’s important to note that the survival rate statistics above are based when a patient was diagnosed and treated for prostate cancer. The term “stage” is used by doctor to describe specific characteristics of a tumor which includes traits such as the size and how far prostate cancer has metastasized when it is discovered. The National Cancer Institute (NCI) maintains a national database on survival statistics for the different types of cancer which is known as the SEER database. The SEER database doesn’t group cancers by the American Joint Committee on Cancer (AJCC) staging system, but rather groups them into three distinct stages: local, regional, and distant. Local stage: There are no signs that the cancer has spread beyond the prostate at this stage. Around 4 out of 5 cases of prostate cancer are detected at this stage and this corresponds with stages I and II of the AJCC staging system. This stage has a nearly 100% 5-year relative survival rate. Regional stage: At this stage the cancer has spread (metastasized) beyond the prostate gland into nearby regions of the body. This particular stage incorporates both stages III and IV cancers that have not metastasized into distant regions of the body such a the lymph nodes. This stage has a nearly 100% 5-year relative survival rate. Distant stage: This stage encompasses the remainder of the stage IV cancers. These are cancers that have metastasized far into other areas of the body such as the bones or liver. This stage has about a 28% 5-year relative survival rate. As prostate cancer research and treatment continue to improve these statistics will soon become outdated. More and more men are being diagnosed for prostate cancer earlier than in previous years and because of this may have better survival rates. For some perspective, the 5-year relative survival rate between 2005-2011 was 98.9%. The survival rate now is nearly at 100% which shows just how much progress has been made in both the research and treatment of prostate cancer.